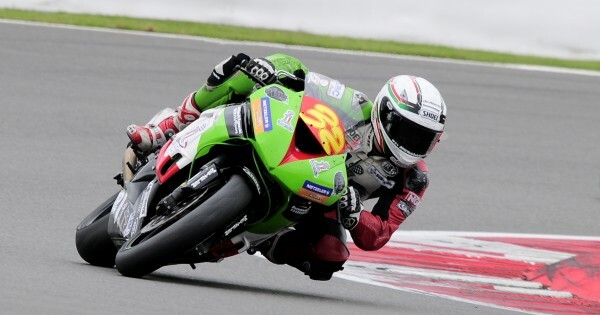 Wilks progresses to BSB Stock 1000 with Bournemouth Kawasaki for 2013. Hampshire-man Kyle Wilks has revealed he will be riding in the British Superstock 1000 championship for 2013 on the Bournmouth Kawasaki ZX-10R. Wilks will be hoping for similar progression to 2012. Wilks spent last season debuting in the STK600 BSB class on a ZX-6R, progressing rapidly throughout the year, ending his season at Brands Hatch with a 4th place, narrowly missing out on an inaugural podium. He also participated in a few Thundersport GB club races in the GP1 class, achieving a win in the final round up against 1000cc bikes, whilst riding his Bournemouth Kawasaki ZX-6R. A big achievement in its own right..
“I am very excited to announce that I will be riding a STK1000 for Bournemouth Kawasaki this season. I can’t wait to get the season underway and continue my progress with the team.” Said Wilks, speaking with PaddockChatter.com this evening. The Southampton rider is featured on our Rider Profiles page, and we wish the very best of luck to Wilks Racing for the coming season.. Previous Previous post: Rossi claims his "potential is high" after first day at Sepang.